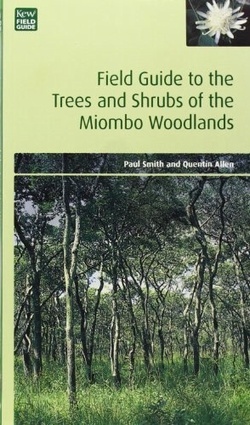 The Field Guide of the Trees and Shrubs of the Miombo Woodlands covers sixty common trees and shrubs of Miombo vegetation. Each species is illustrated with line drawings and watercolour images. Distribution maps general notes on appearance, habitat, ecology and uses are given for each entry written with a minimum of technical language.